On his 34th wedding anniversary Thursday, superstar Rajinikanth briefly spent some time with his fans here at his residence. Several of his fans came to convey their wishes to the 'Thalaiva'. On his 34th wedding anniversary Thursday, superstar Rajinikanth briefly spent some time with his fans here at his residence. Several of his fans came to convey their wishes to the 'Thalaiva'. Rajinikanth married Latha Feb 26, 1981. They have two daughters -- Aishwarya and Soundarya. 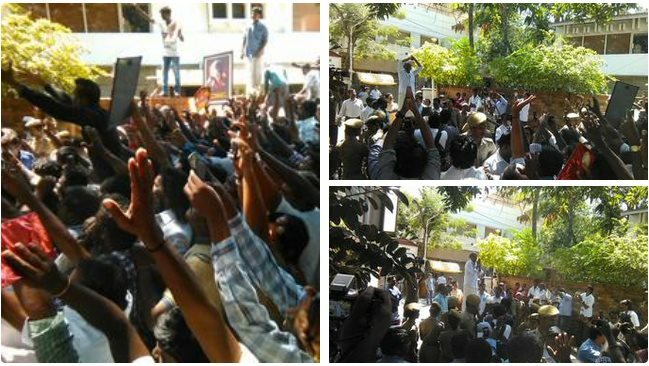 "Rajini sir spent a few minutes with his fans assembled outside his residence. They met and greeted him on his anniversary. People had come with garlands, gifts, photos and life-size cutouts. He thanked them for showering their love on him," a source close to the actor told. The superstar will celebrate the day with his family and friends. 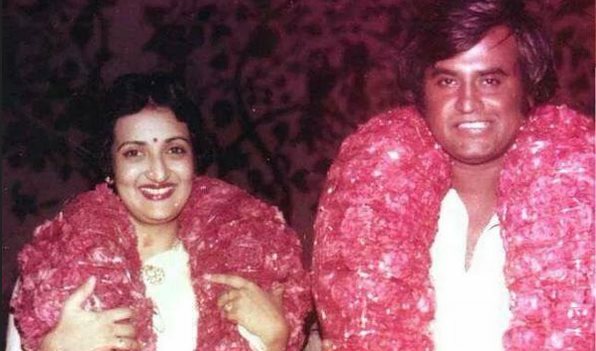 Rajinikanth married Latha Feb 26, 1981. They have two daughters -- Aishwarya and Soundarya. The 64-year-old, who has over 100 films to his credit, was last seen in Tamil film "Lingaa".